We, Karen and Mike Jansen, have been around the pest control industry for 'quite some time' now. WE ARE TOTALLY PASSIONATE ABOUT SERVICE, AND QUALITY! WE'VE GOT A GREAT ATTITUDE! MOST of our business comes from REFERRALS - and REPEAT Business...there is a reason for that! We've built a large customer base all over the Gold Coast* and Tweed Areas* and we really value our customers. Our customers use us and refer us because we REALLY know how to look after them, and their properties, with our really great pest control and termite inspection services! 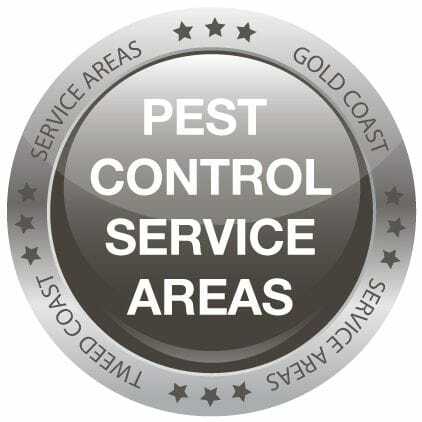 Our success in the pest control industry is largely due to OUR PASSION FOR EXCELLENT SERVICE, and TOP QUALITY WORKMANSHIP - and our GREAT PRICES too. WE'RE TOTALLY HONEST & DEDICATED IN EVERYTHING WE DO, AND ABOUT EVERYTHING WE FIND - AND WHAT WE THINK IS THE BEST THING FOR YOUR PROPERTY. Our SERVICE WARRANTIES on pest control treatments are amazing - with a 12 MONTH SERVICE WARRANTY on INSIDE cockroaches, INSIDE ANTS, and webbing spiders!.... as well as silverfish. It's a GREAT service warranty - and WE DO come back FREE OF CHARGE to fix any of these warranty issues, over the WHOLE YEAR! WE always make sure our customers are totally happy with our pest control services, and the results we get. We get AWESOME feedback and testimonials from our customers too. We always use the BEST PEST CONTROL PRODUCTS, and we put these pest control products and treatments in places that we know will WORK! WE HAVE WHAT IT TAKES to make your pest control experience a REALLY GOOD ONE for you and your family - so when we call you up next year you will be pleased to hear from us and will hopefully book in your home again. - AND YOU WILL REFER US TO YOUR FRIENDS AND FAMILY! MOST of our business comes from REFERRALS.